Silicon Valley has been the leader in many things for decades, but rarely has the region's first place position been for something as undesirable as air quality. Following the record-setting disaster that has wiped out my one-time hometown of Paradise, Bay Area residents are choking on the resulting downwind smoke, seeking answers as to how unsafe it is, and how they can gain relief. And while I know that a week-plus of uncomfortable air is hardly the worst outcome of these climate change fueled infernos, it's something that needs to be addressed. After last year's record-breaking California fire season that saw unthinkable damage burn through Napa county, I expected we would have bad air days this summer. Planning ahead, I bought two sleeves of N95 air filter masks from Amazon and stowed them in my garage for a not so rainy day. After a summer that saw fires rack up acreage, but air quality stay within range, I wondered if it was another foolish purchase just taking up space. But in the blink of an eye, with the Camp Fire in Butte County, the masks seemed inspired. With the sun's eerie glow as a backdrop and smoke where fog or blue sky should be, I found myself at the Google campus, expecting to be the only one looking like I intended to rob a bank. But, while I was in the minority, contracted employees including security vendors and valets, who spend much of their day outside, wore them as part of uniform, and many of my colleagues showed up with them as well. By this week, it was rare to see a group of people walk by mask free, as estimates said sucking down Bay Area air was the equivalent of a dozen cigarettes a day. As for those who took their masks off to smoke? Well. I admire your dedication. 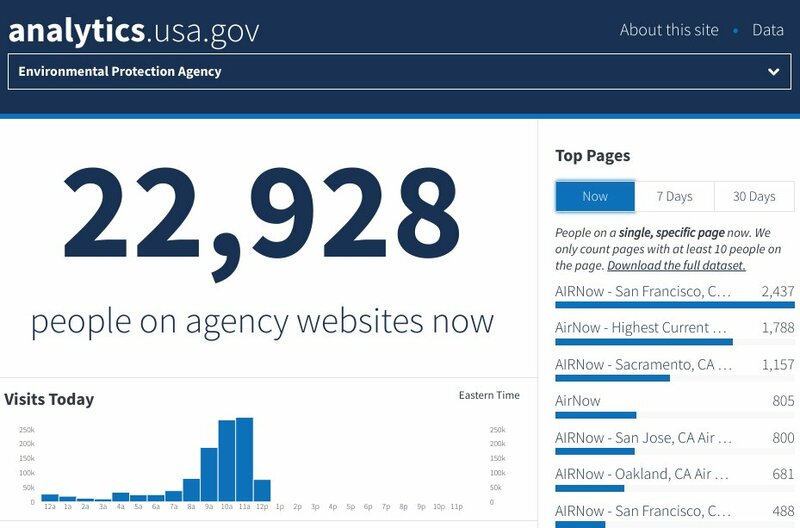 As we all saw our skylines and views mucked by gray and brown bits of my past, area residents everywhere flocked online to sites like AirNow.gov and PurpleAir.com, marveling at how our Air Quality Index (AQI) levels were deep into the unhealthy range. 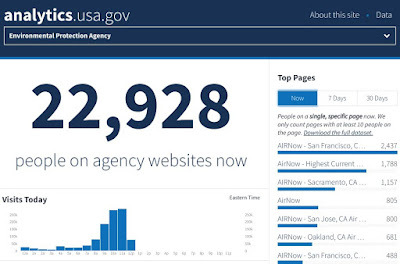 So many people flooded the government's AirNow site that they had to reverse a heavy website revamp, and individual city pages were among the most trafficked government sites all week. On Thursday, after a week of fashionable awkwardness with my mask, I made some quick buys from the Google bus, aimed to help our air quality at home and contribute our AQI to the crowdsourced data. 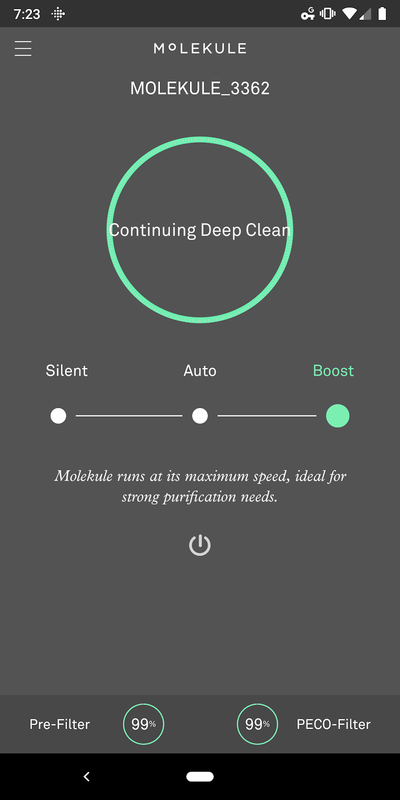 My first purchase was a pair of Molekule air purifiers that promised to cleanse our dirty and polluted air at home. The second was for a PurpleAir sensor, so I'd know just when we should leave the house with masks, or if we should hole up indoors. 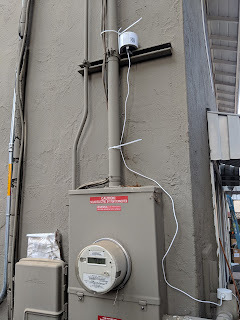 Luckily, b8ta had Molekule devices locally, and the company's general manager made a home delivery to my front step by Thursday evening. They'd promised free overnight shipping to California, but same day was beyond expectations. I set up one device downstairs and the second upstairs, and they've been plugging away at removing toxins from the air so my family can breathe easily. Unsurprisingly, it even comes with a spartan app, so I can move the filters from silent mode to most aggressive, remotely. This morning, my PurpleAir sensor came. Like Rachio's smart sprinkler system or the Nest outdoor cameras, these new Internet of Things devices come with the smallest set of instructions. Power them up, connect to Wifi and you're essentially on your way. It even came with a Nest branded power supply, which surprised me, but made immediate sense. With the minimal amount of effort, I registered my PurpleAir device and am now broadcasting the AQI from our house to the shared map. There's no PurpleAir app (at least that I could find) which would make tracking AQI and our personal data easier, but the website works, and mobile site works well enough on my phone. Still seems like a minor oversight for 2018. Clearly, the avalanche of attention toward hourly AQI levels and scramble for air filters is going to spike and fall with the latest wildfire or other pollution disaster. I may feel in the future that telling the world my air is just fine isn't world changing. But I've always been delighted in being able to see the data and make decisions. That's why Fitbit works. That's why Nest makes sense. That's why I went solar with Sunrun. The tragedies that have hit California, and are nowhere near done, are going to have impact on families and our entire region for years to come. We should adapt to a world that acts on data and protects those things we can control.